Strings explores the ties that bind and the thoughts that rule our minds. Its electronic acoustic minimalism--reminiscent of Goldfrapp's Seventh Tree--arises from sober reflection rather than glittery nights of clubbing to document a raw journey from the prison of self to a sun-soaked reality. This release marks an organic departure from more dancefloor-friendly, sparkly ALP efforts. ALP's Bev Stanton took her acoustic bass guitar out of the closet and captured intimate performances by cellist Fred Lieder and upright bassist Jon Nazdin. She also used loops from practice tapes of her Baltimore post-punk band The Window Shoppers and urban field recordings of her commute on DC buses and metro. The percolating electronic chirps and bleeps are restrained but keep the tracks from marinating in Weltschmerz. "Freedom Feels" confronts the stark reality of solo travel in a world built for two with haunting bass and sparse percussion. "Unique" is a clanking Gen X tribute to introversion. In "Bring It On," Lisa Moscatielloe's voice soars over melodic and melancholy Peter Hook-inspired bass lines. Moscatiello, whose rich alto provides the unifying force of this effort, instinctively knows when to be earnest and when to wink at the melodrama from track to track. 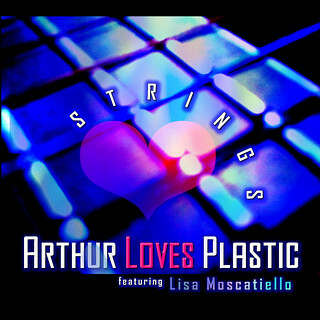 Arthur Loves Plastic is Bev Stanton, who was born in the Bahamas and raised near Walt Disney World, has been producing electronic music for almost 2 decades. 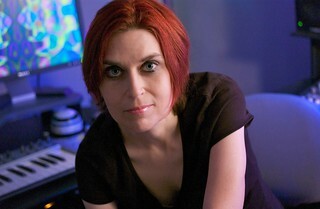 She is one of 24 artists profiled in the book Pink Noises: Women in Electronic Music and Sound. She continues to embrace new technologies on the Android and iOS platform for live performances and recordings.